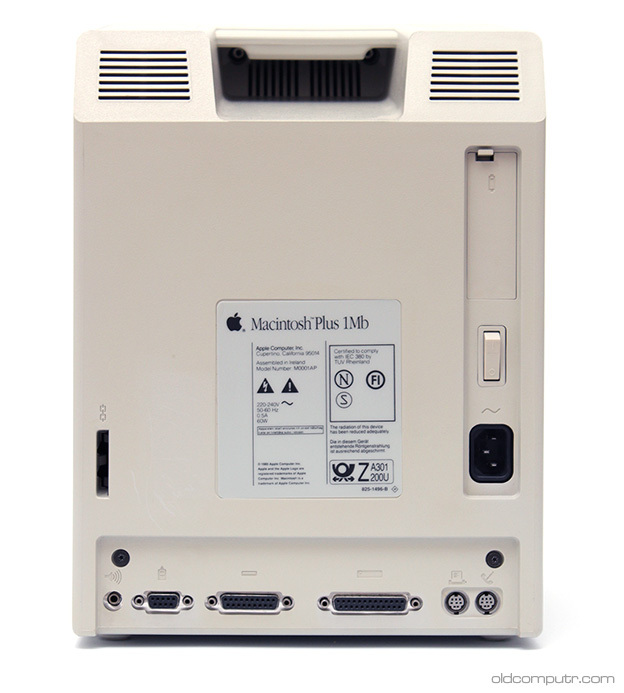 This is the first Mac of my collection; I bought it at a public auction in 1995. 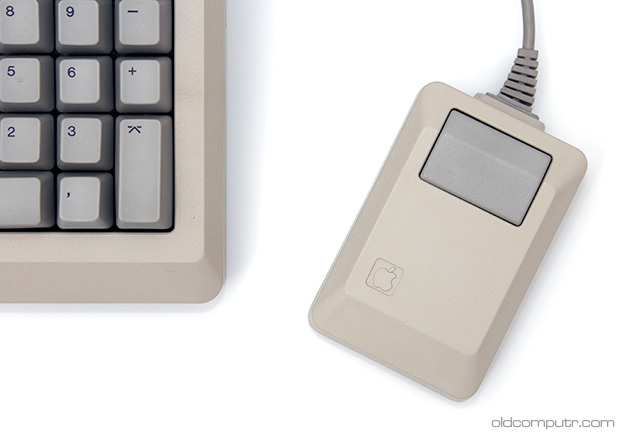 The description that I read in a local newspaper was “Macintosh monitor with keyboard”: I immediately realized that it might be a compact Mac and I went to the auction hoping that there would be no other people interested. On the contrary, there was a person who kept outbidding my offers, and when I won the items (the lot had an Apple Macintosh SE FDHD too), the man approached me, asking “Is this computer something like… a 386?”. My goodness. 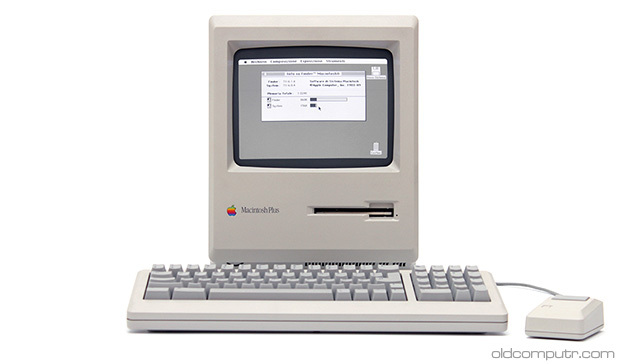 I edited a short video where you can see the Mac being reassembled, then booting the System from a floppy. 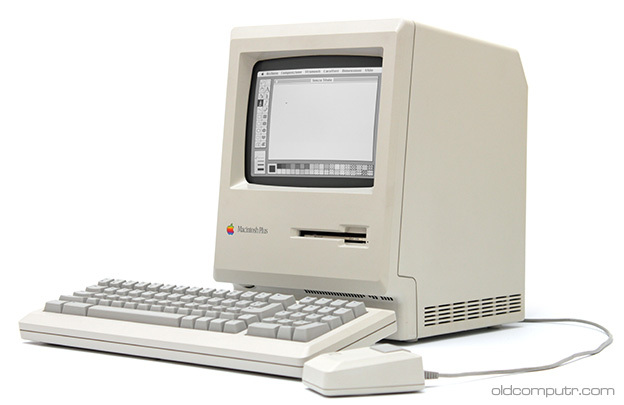 I still remember the day in the late 80s when I saw this model behind the shop window of an Apple retailer. I entered the shop and I got a very quick demonstration (I was maybe 15 or 16 years old – not the target buyer for that computer) and tried not to gasp when I was told the price. 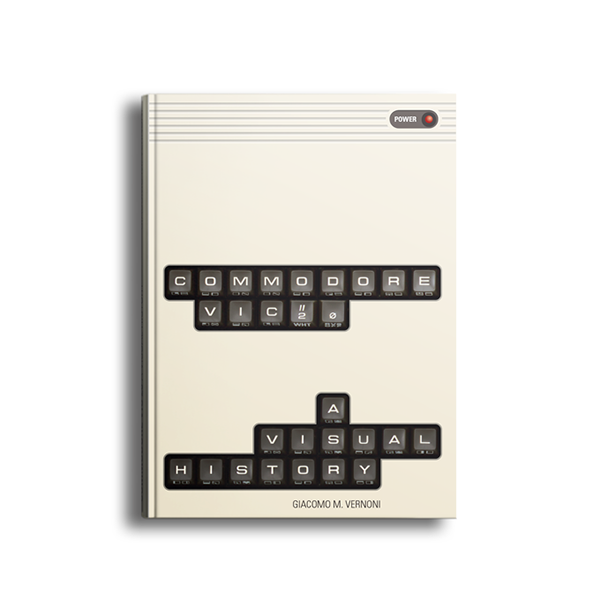 I think that the same year, or the following one, my parents bought an Amiga 500 (way cheaper than the Macintosh) to replace the Commodore 128 we had at home. 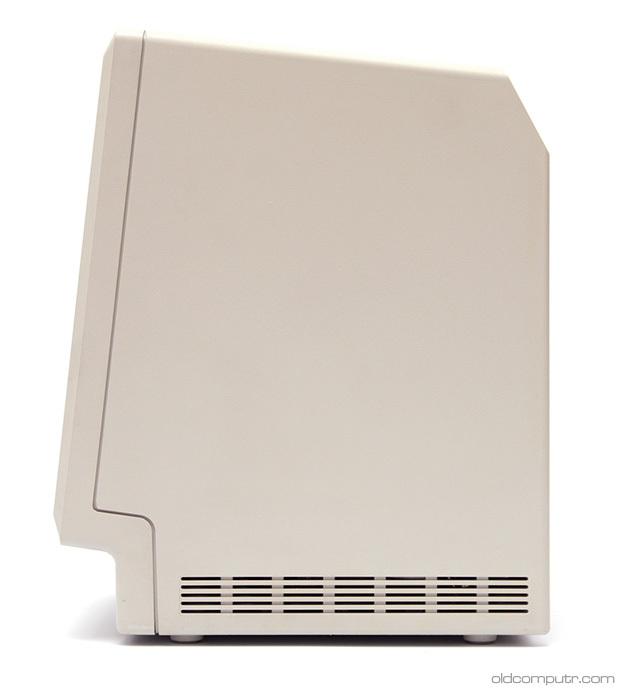 The Apple Desktop Bus didn’t exist yet – it debuted on the Apple IIgs later that year – so the keyboard and the computer had an 4P4C connector like the Macintosh 128K and 512K. 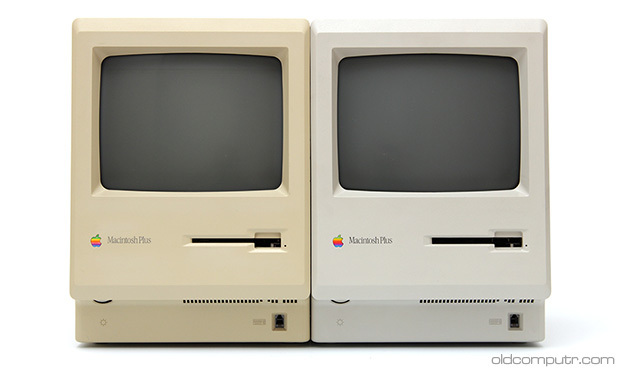 The Macintosh Plus was one of the first Apple computers that was available in the new grey “Platinum” color, but earlier units still had the beige color of the original Macintosh.